South Adelaide is pleased to advise it's members and supporters that skipper Brad Crabb leads another star group returning to Noarlunga in 2017. Joining Crabb at Hickinbotham Oval in 2017 will be inside midfielder Xavier Gotch, versatile swingman Nathan Daniel and booming left footer Tom Fields. Kangaroo Island native Crabb captained the Panthers for his second season in 2016 and was again a rock in defence, becoming the first 150-game Panther since Ben Warren and claiming the club's Knuckles Award by season end - an honour which rewards players who contribute the most one-percenters and team measurables such as spoils. Gotch, a diminutive but durable presence in South's midfield, endured an injury delayed start to the season, but was once again a stalwart in the Panthers engine room by the pointy end of the season, averaging 18.4 possessions per game through 16 matches. Daniel was another Panther who enduring and injury interrupted season. Dealing with concussion issues throughout the year, the versatile swingman was restricted to just seven league matches, but was a valuable asset for the Reserves throughout the season and an just missed selection for the Semi Final against Adelaide at the season's end. Fields, who returned to the club after a year on the rookie list at Carlton in 2015, added valuable run out of South's defence with his penetrating kick. 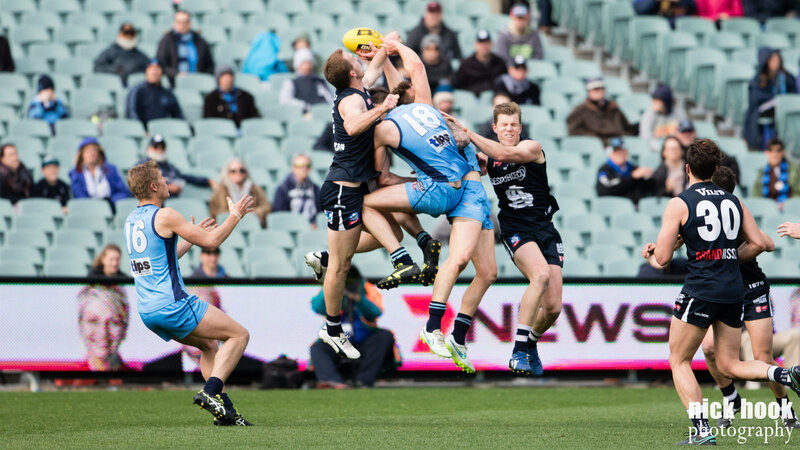 In 2016, Fields notched his 50th game for the Panthers, was selected in the back pocket of The Advertiser SANFL Team of the Year and finished fifth in the Knuckey Cup. The group join the recently re-signed quartet of Nick Liddle, Brede Seccull, Matt Rose and Sam Overall as confirming their return to the Panthers for season 2017.